Some people would do a lot to be immortal while others would do a lot to get rid of that. Well, you have to be a vampire to belong to the second group. Twilight City: Love as a Cure is a story of a vampire desperately wanting to become human in order to save the love. The unique part is that in addition to the ability to complitely customize your character you are also responsible for his or her energy level. So you play as a vampire who is in love with a human and chooses to save their love by going back from the blood eating life style. This is easier said than done. You have to go to many places in order to find the cure. The game gives you a chance to choose gender, hair color and things like that, ad then off you go. The graphics match the theme very well. They are a bit gothic and dark. The sounds and music create the atmosphere of the mysterious adventure of a vampire. First, the unique part is that in addition to the ability to complitely customize your character you are also responsible for his or her energy level. There's no need to sleep, but you do have to accomplish some vampirish things to get that fixed. 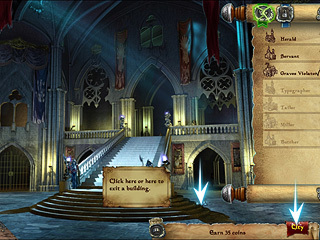 Other parts of the game are not so unique. You go to a new place having accomplished the task for that one. This takes a lot of time for some reason and gets you boring. 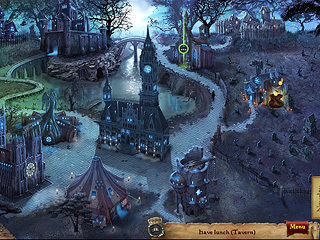 There are occasional hidden object levels and mini games, the game's general level of difficulty is not very high. You might want to check the free trial version first to see if it's one of those of your taste. This is Twilight City: Love as a Cure review. Download this game here.